Milk tea is synonymous to Chinese restaurant before, we used to order authentic milk teas after a heavy meal, Chinese believe that drinking milk tea will flush out part of what you eat that day, making your body cleanse and de-toxified. 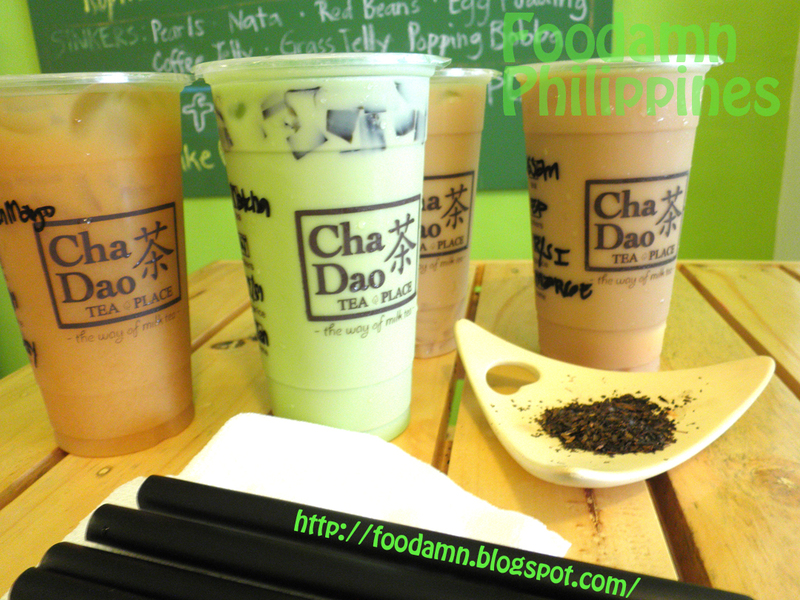 And every time were in for some after meal milk tea, we immediately went straight home for a total "body cleansing" :) The milk tea really works, I recommend it to those with constipation problem. 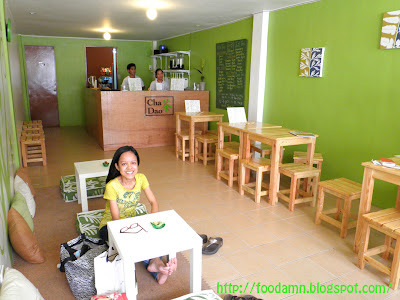 Unlike now where tea places becomes a booming food business. A tea place is not just the ordinary serving of brewed tea or the milk tea, several tea-fusion shops are readily available in the market. 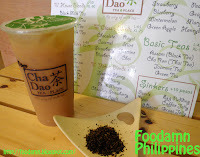 Cha Dao Tea Place opened to public a few months ago, tea drinks are processed using freshly brewed black tea, infused with milk and fruit flavors. 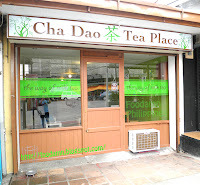 Cha Dao targets the younger market, thus most of its tea shops are visible within schools and the rest of the branch along the busy streets/main roads of a crowded subdivisions. What's great about it, was the affordability of the drinks plus the product quality. 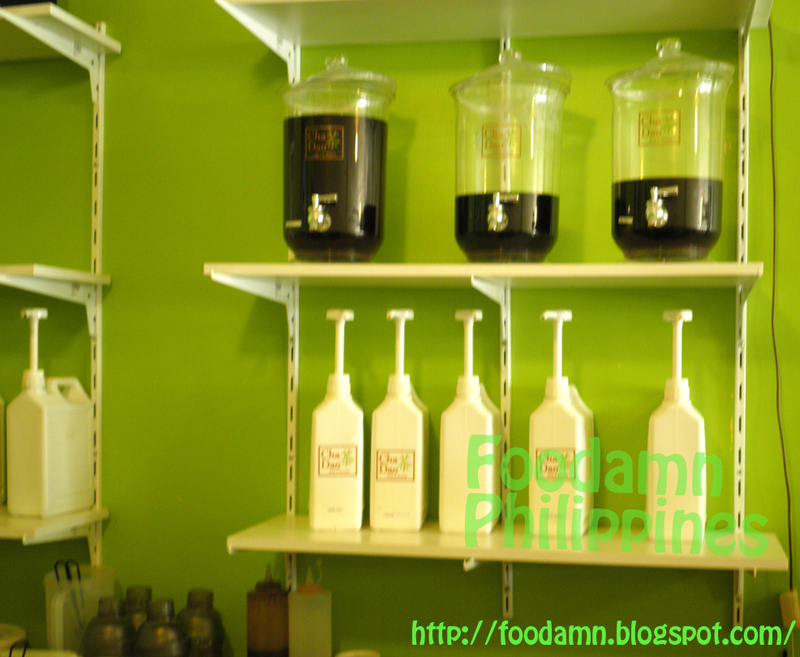 Each flavor has undergone meticulous product research and development to achieve the right mix of tea and syrup that is favorable to the Filipino taste buds. 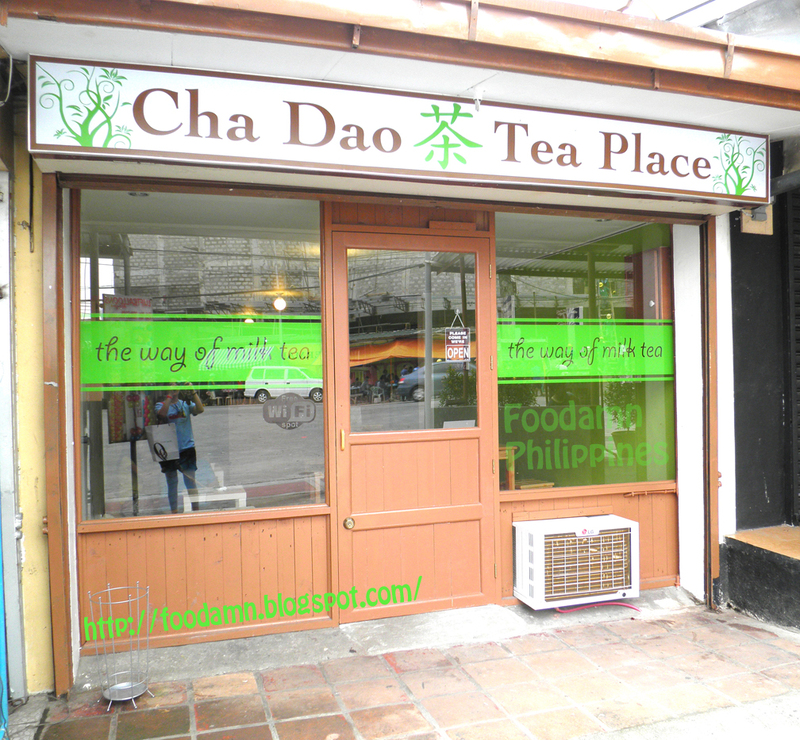 "Cha Dao Tea Place has an extensive menu, offering an array of over 30 different flavors ranging from milk to fruit teas, to suit every customers need and preference. In addition, customers can tailor fit their orders by choosing their own toppings, sugar level and ice preparation – making each cup a truly personalized drink." 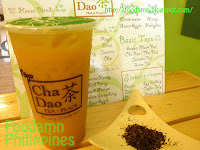 I was lucky to be invited by Jenn Valmonte of taraletseat.blogspot.com over Cha Dao-Don Antonio Branch for first-hand taste milk teas. We were joined by Jenn's Younger sister and Marjorie of http://livingmarjorney.blogspot.com. We decided to meet-up at McDonald's Commonwealth, Don Antonio Heights is across Ever Gotesco Mall Commonwealth. 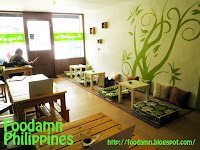 What we like with the place - the Zen interior, though the space is quite diminutive, they strategically accented wooden chairs and tables, Japanese-style tables and throw pillows. 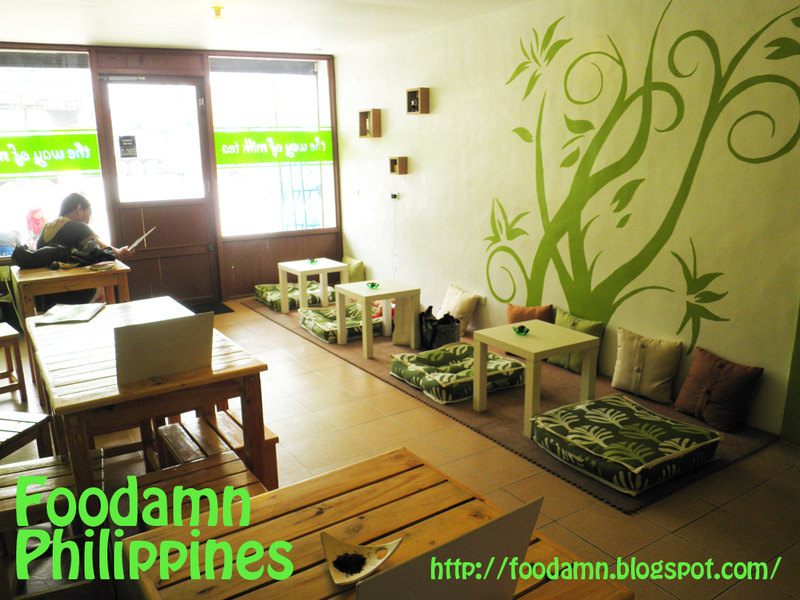 The lime green and white murals, made the walls appear bright and cozy. - go down below the surface of something esp. of a liquid; become submerge. 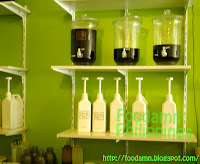 Sinkers are the add-ons on the usual shakes or smoothies, commonly used add-ons was the "tapioca" or "sago". With Cha Dao, each glass can be customized by adding sinkers [PhP10 for each type of sinkers]. Choices are: Popping Bobba, Pearls, Nata, Red Beans, Egg, Pudding, Grass Jelly or Coffee Jelly. 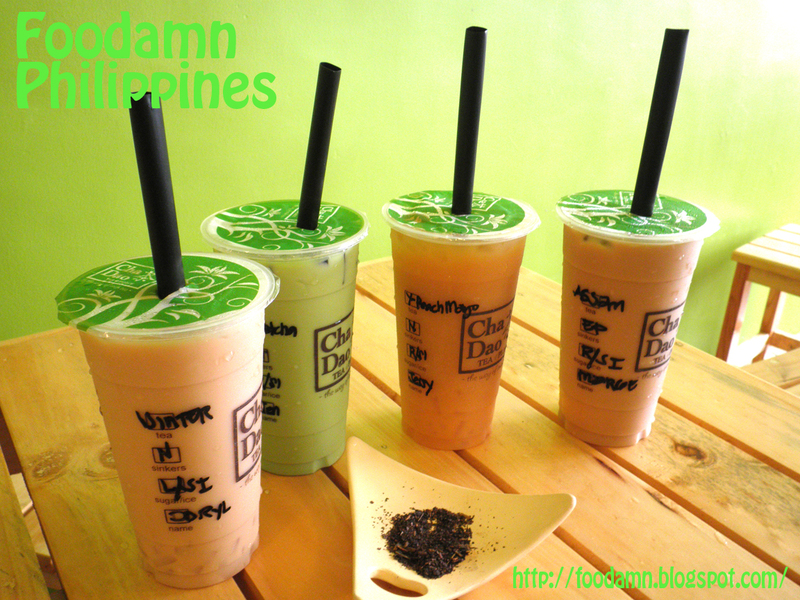 Stop and think momentarily to experiment on what to order, we agreed to order different flavors then test-drive each tea drinks. 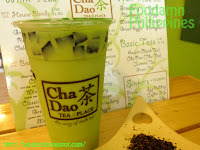 Jenn's drink - green tea flavor is strong with a refreshing minty taste. I love minty stuff and this drink introduces a new selection for our taste buds. 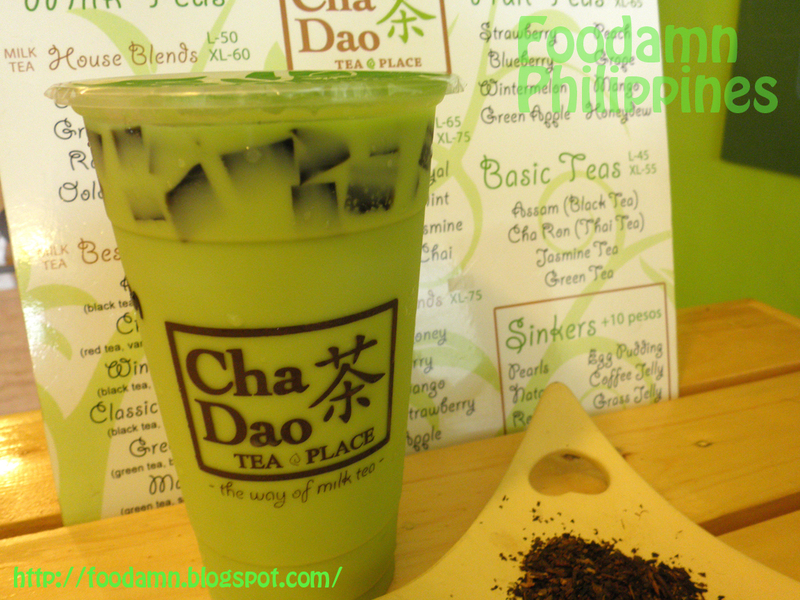 If your the type who looks for unorthodox stuff, then have Matcha. 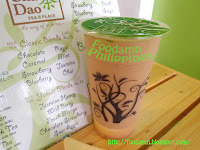 Marjorie's drink, it tasted like a lighter version of Wintermelon. 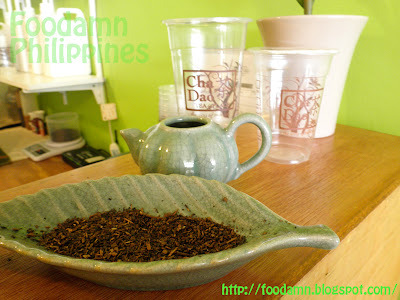 I wasn't able to taste it with the egg pudding, I think you have to mix the bottom part of the sinker to blend it with the tea. Directions: Turn right before McDo Katipunan, and you will see it on the left side, beside Fruit Magic. SALCEDO VILLAGE, MAKATI: Coming soon! 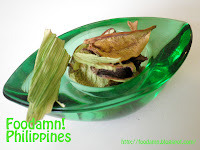 Maraming salamat sa pagsama sa amin ni sis. :) Minsan, mag milk tea party uli tayo.